September is National Bourbon Heritage Month, which is certainly worth celebrating to honor this uniquely American whiskey. 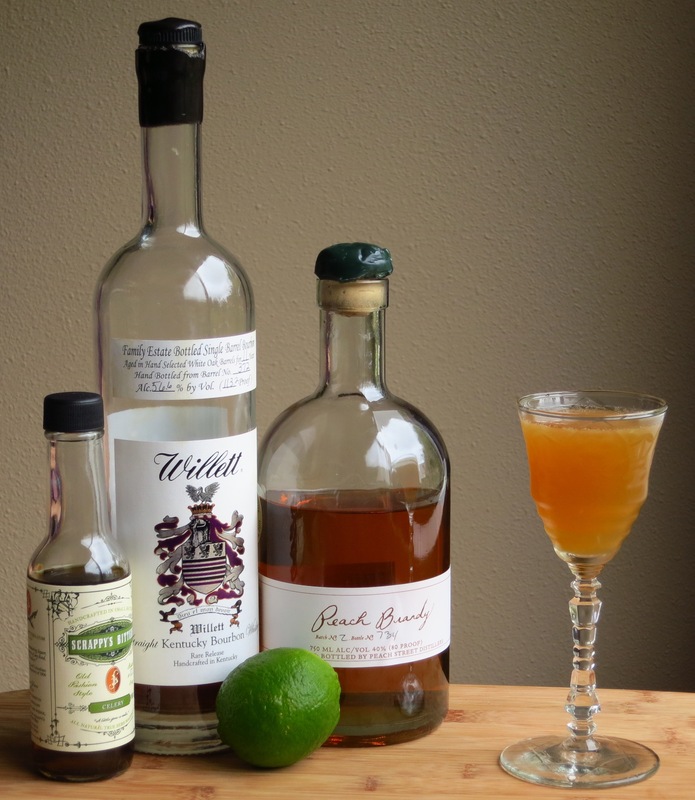 Since we’re big fans of the spirit around here (the post title says it all, really :)), we decided to mix up a couple of bourbon-based drinks this week. We went with one classic and one original to showcase a couple of our favorite bourbons. We selected a whiskey sour for firsts, a true classic that both highlights and elevates the base spirit. In remembrance of Lincoln Henderson who passed away this past week, we used his amazing Angel’s Envy bourbon for this offering. Shake first 3 ingredients with ice. Strain into a glass. Top with soda. Garnish with a brandied cherry and a lemon twist. Nose: Lemon and bourbon. Some oak, toffee and port wine. Tiny bit of yeasty vanilla. 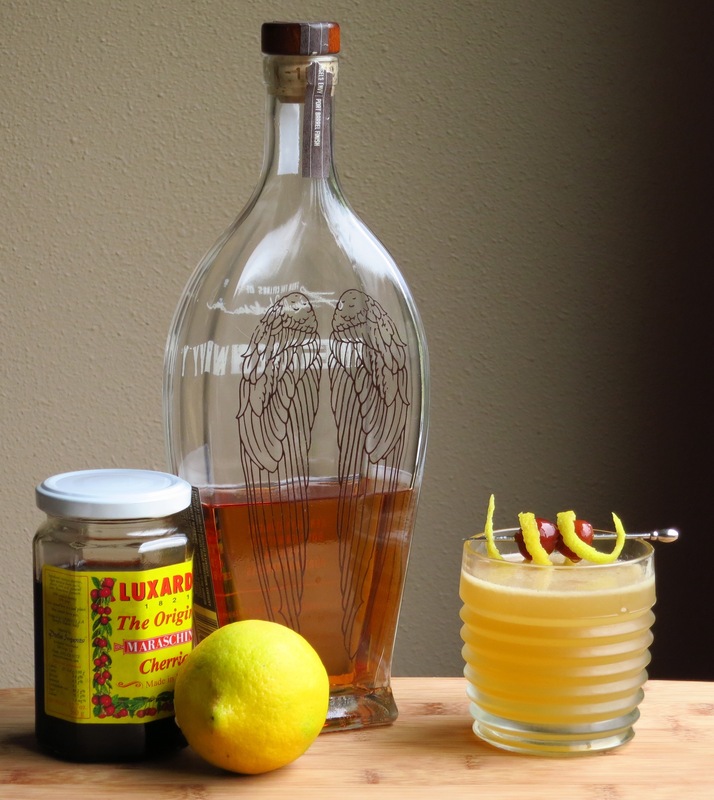 Palate: Alternates bourbon and lemon flavors in a delightful fashion. Starts with sweet caramel-y bourbon, then has a lemon bite that gooses your salivary glands followed by some cherry notes. The bourbon speaks up again on the mid palate with barrel and wine-y notes, followed by a slightly bitter finish full of the aromatics from the lemon peel and more long bourbon notes. Very light, refreshing mouth feel from the soda. A good transitional drink as we move into the cooler months. Nose: Celery, freshly cut oak, peach, perfume-y lime, bourbon barrel, leaf smoke. Palate: Celery notes underpinning everything. Sweet/salt hit on the front from the salt and peach brandy, along with some subtle bourbon notes. Strong, rich bourbon and peach notes on the mid-palate. Lots of dark wood and burnt sugar with fainter lime and celery. Acid bite and peel aromatics from the lime along with a big hit of celery on the finish. Toasty, faintly coffee-like aftertaste, seems like a combo of the bourbon barrel notes and the salt. We hope that you are enjoying Bourbon Heritage month as much as we are. There are many lovely bourbons out there, and we encourage you to take this opportunity to try something new, either picking up a different bottle than the usual, or trying/creating a new cocktail. Bourbon works well with many food pairings too. We hope you find some time this month to get some in a glass (mixed or not ;)) and enjoy all it has to offer. Interested in reading more of our nerdiness? Follow us on Liquor.com or at Boozenerds.com. This entry was posted in bourbon, Original Cocktail, peach brandy, Tasting Notes and tagged angels envy bourbon, bourbon diet cocktail recipe, drinkwire, NBHM, Peach Street Peach brandy, scrappy's bitters, whiskey sour cocktail recipe, Willetts Bourbon. Bookmark the permalink. The Bourbon Diet looks insane!! I love the addition of celery bitters here. Cannot wait to try. Thanks! Let us know what you think. No doubt. Thanks for reading.